This is a critical time in the recruiting process for all high school age volleyball players - Preparing for the start of the Recruiting Season! The MLK Weekend traditionally begins the current year's recruiting cycle. Per NCAA Rules, NCAA Division I volleyball coaches are allowed to leave campus to evaluate Prospective Student Athletes (PSA's) on the Saturday of the MLK Holiday Weekend (all other college volleyball categories have been able to be off campus to recruit over the Holidays). For all college volleyball coaches, this MLK weekend tends to be the first weekend where they can attend a major tournament to evaluate PSA's. 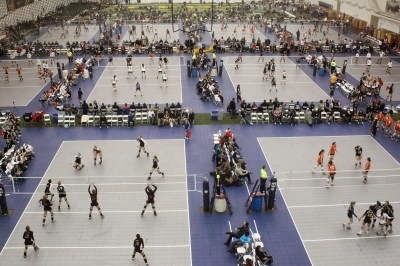 Volleyball families must remember that the window of time from Thanksgiving to the MLK weekend can be professional chaos for college volleyball coaches. Coaching changes, players transferring, programs not renewing scholarships.....all of these situations will create an urgency in the recruiting process, which many college volleyball coaches may not have anticipated. Don't believe the recruiting rumors that all D1 schools are done recruiting the senior class, or that the only opportunity this late is being a walk on. The reality is today's recruiting landscape (for all categories) is fluid - Roster spots and scholarship opportunities are constantly opening and closing for each recruiting class and for each level of college volleyball. PSA's cannot control these situations but they can put themselves into the best position to take advantage of opportunities. Recruiting is the most important component of a college volleyball coach's responsibilities. There are a number of average college volleyball coaches which have enjoyed long, successful careers because they successfully recruit players. And with the ever growing popularity of volleyball for high school age players, college volleyball coaches have the luxury of choice. In economic terms, supply of quality volleyball recruits has exceeded the demand of college volleyball programs. Reach out to college volleyball programs. Recruiting has always been a competitive situation for college coaches, and with the current supply/demand recruit ratio, it is now a competitive situation for volleyball families. The biggest mistake I see with today's recruits, is they wait to be found by a college program, as opposed to putting themselves digitally in front of desired college volleyball programs. Use these days leading up the the MLK weekend and President's Day weekend (which is considered the next major recruiting weekend and a lead in to the heavy recruiting time period) to reach out to appropriate college volleyball programs. Appropriate? Yes, make sure that the college volleyball programs are a good fit academically, geographically, financially and athletically for you, so do your research. If you don't have the size/talent to play in the Big 10, then do not reach out to Big 10 schools. If you hate the cold, then don't write schools in Wisconsin. If bugs the size of cars freak you out, then don't email schools in Florida (my apologies to WI and FL....both great states but they do have cold weather and huge bugs!). Don't wait for schools to find you - Put yourself in front of them! Just make sure that your reach out matches your recruiting comfort zone! For more recruiting education click here. This article was written by Matt Sonnichsen, Director of Volleyball Relations for NCSA, the official partner of the JVA.